Even before I saw Arden’s drop-dead gorgeous Metamorphoses, I knew I’d face a challenge. 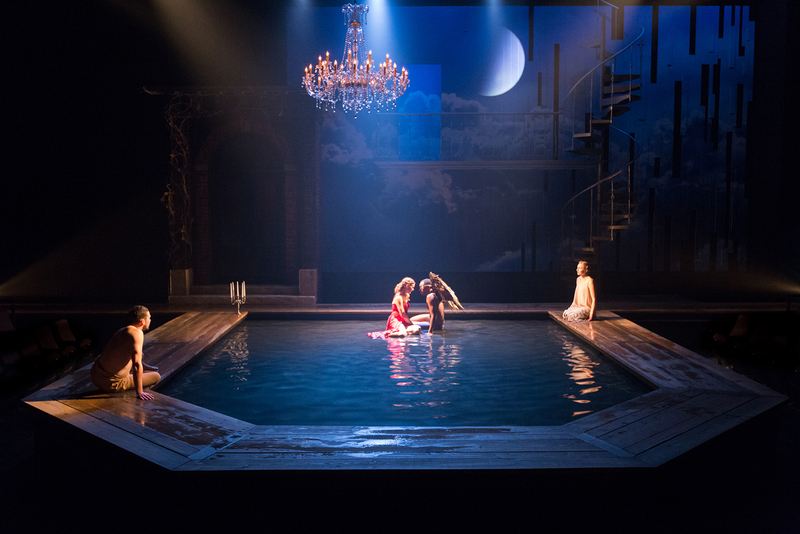 You see, we critics always want to come up with a snappy lede, and the setting of the show – a large swimming pool within a theatre – presents a golden opportunity. At the same time, my sterner, more serious writer side was already cautioning myself against the cheesy use of water references. Please don’t, I told myself, talk metaphorically about waves, anchors, or swimming. 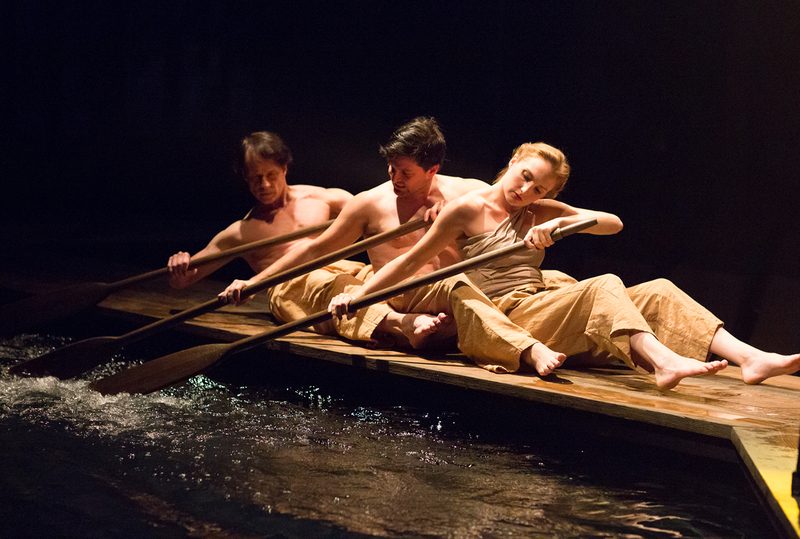 In the unlikely event Metamorphoses proved to be a disappointment, don’t evoke Waterworld. Happily, there was no need for the latter. Arden’s production of Mary Zimmerman’s stunningly visual play is as beautiful and accomplished as anyone could hope for. The swimming pool turns out to be only the beginning. 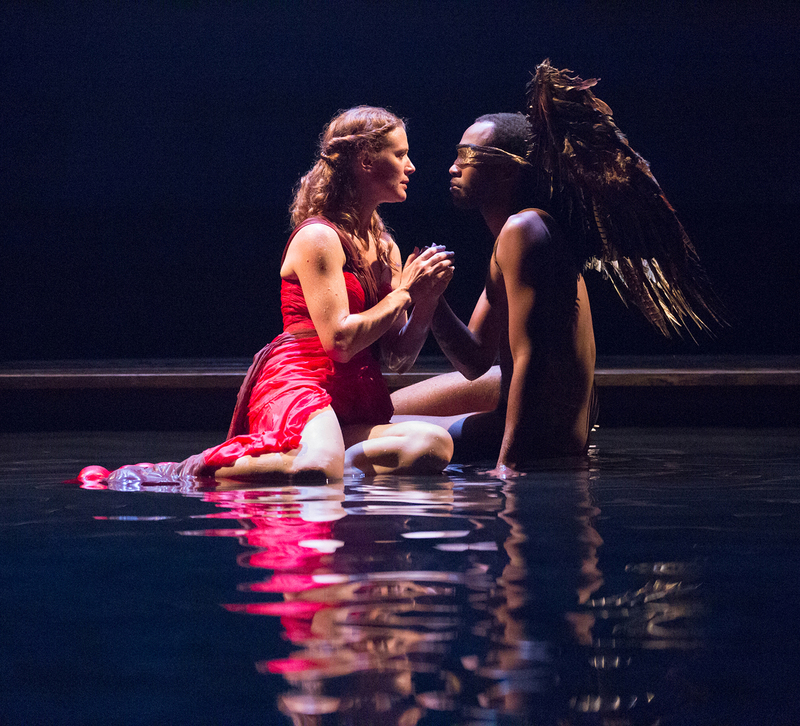 At the heart of Metamorphoses are stories – specifically, a series of myths organized around the theme of transformation. Ovid is the starting point, but Zimmerman (who both wrote the script and directed the original production, nearly two decades ago) gives us more of a remix, cannily blurring ancient and modern. Some of the stories are familiar, including the framing tale of King Midas (played with delightful drollery by Christopher Patrick Mullen), and Orpheus and Eurydice, which here gets two treatments, including one drawn from Rilke. Others are less well-known, like the tale of wood nymph Pomona (Alex Keiper, whose wonderfully mobile face lights up this character and others). Several Gods preside over the events, including Aphrodite (Krista Apple-Hodge, authoritative and statuesque). Early on, the tone is mostly mournful – suffering is considerable, and mercies are small. But just as we might be ready to quote Shakespeare’s rueful “As flies to wanton boys are we,” there is a subtle but welcome upward shift. Ultimately, Zimmerman sends us home with a note of hopefulness – and a reminder that self-knowledge is the key to understanding. And that pool? Like so much of Metamorphoses, it carries multiple connotations – birth, baptism, something primal, forbidding yet soothing. Director Doug Hara’s production is masterfully realized on every level. The entire cast is terrific, the design work spectacular – not just the scenery (by Brian Sidney Bembridge), but also lights, costumes and sound (Olivera Gajic, Thom Weaver and Christopher Colucci, respectively). Can a show be too artful? I wondered as I watched, and found myself filled with admiration for every stage picture and beautifully sculpted moment – yet somehow not responding equally to the human dimension of the piece, and also occasionally put off by the archness of Zimmerman’s language. Ironically, in this piece built around storytelling, it is the aesthetics that rule the day. Still, beauty is its own reward, and even Aristotle acknowledged the importance of spectacle. 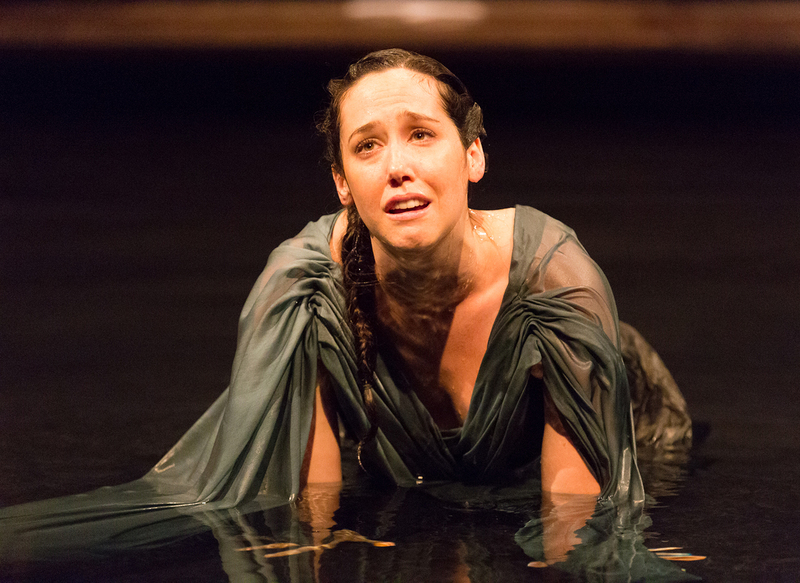 The Arden’s Metamorphoses is not only gorgeous – it’s an exhilarating example of the craft of theatre at its most virtuosic. Looks Gorgeous! Wish I could have seen it.